Did you know there are literally millions of frustrated Facebook users? There are hundreds, maybe thousands of known glitches, bugs, and malfunctions on the site. I had no idea it was this bad until I did about 2 minutes worth of research only to discover that there is no help, no support staff to assist members, and no human being to talk to other than those that are also experiencing difficulty, challenges, or a less than desirable Facebook experience. There’s 800,000,000+ members! What was I thinking? What should I expect? Unfortunately, I’ve just joined the growing “frustrated” circle on Facebook. This past week I realized that they removed 1000 of my friends arbitrarily and without any warning or notice whatsoever!?! When my friend(s) count went from 4099 to 4100, they for some reason took away 1000 of my friends in the blink of an eye. WTH? Now I know that members on Facebook are allowed to have up to 5000 friends on their personal profile page, so what gives? My hope is that this is just a bug or some unknown glitch in their counters, but how will I ever know? The worst part is not knowing which 1000 of my 4000 friends they removed? This is just another bug and glitch in the Facebook system. And I’m just another unfortunate member that it happened to, but what really bums me out is that these are “real people” that I have established relationships with over the past 30+ years. This is not just some app malfunctioning, or a picture that’s not loading, THESE ARE MY FRIENDS and CLIENTS possibly lost somewhere on their network forever. Makes ya think for a second huh? So what is the solution? You tell me? I wish I knew…. 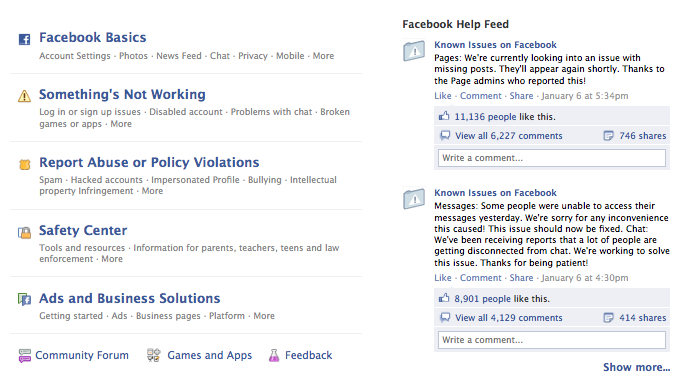 Facebook has so many issues, they can’t provide a support staff for the volume of bugs and members on their site. They do try to help by providing a “Help Center” but good luck if your issue is not on there. This is a huge dilemma for any site the size and magnitude of Facebook. 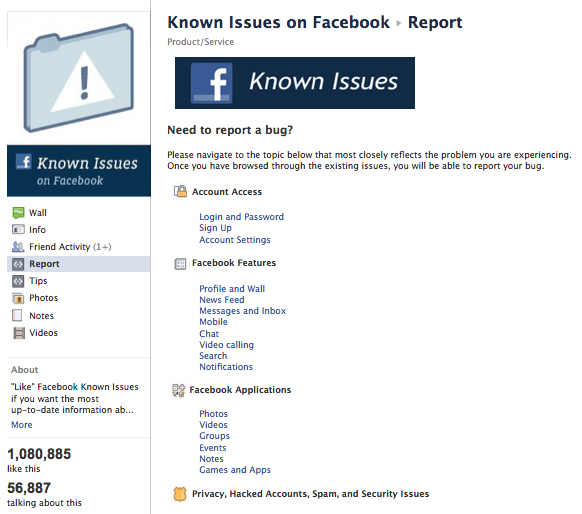 Need help with a “Non-Known” issue on Facebook? No chance, it’s not gonna happen, I’ve tried. So what are others doing and what will you do when this happens to you? Have no expectations going in, and you won’t be disappointed coming out. Many folks I talk to are going to sites like Google+, or creating their own Social Networks on sites like Ning.com and others. Facebook is the most popular and trafficked social network on the web but because of that, it also has the most problems, bugs, and know issues. It also has the least amount of support people and systems in place to provide a good customer experience when there are issues. So if you must Facebook, just be prepared to FACE the bugs and known issues at some point with no expectation for any support, answers, or resolve. No person is exempt from “bugs” or “glitches” on personal pages, business pages, your friends lists, or your timeline pages. After-all, your presence and profile on Facebook is FREE so what can you really say, do, or expect? Only invest into the site what you’re willing to lose in an instant. If your time is valuable and your relationships mean anything beyond just another pretty “FACE” in your “Book” then make sure you backup anything and everything you do on the site. This is not to alarm you, (well. maybe a little) it is to prepare you for what many other are already experiencing and at some point, you just might too. Facebook is not yours, you own nothing there but your time and your content. Protect them both the best you can. I love google chrome, but I am having problems lastnight and today with Facebook. It isn’t showing all of my post on my wall or profile, or my friends wall when I go to there page. Also it won’t let me like or share on a post or comment. I have used google chrome for a few months now and never had a problem. This morning I signed out of facebook using google chrome and went to face book through IE and everything is working fine. Is there a known issue with google chrome, because I don’t like IE, it always says not responding and runs so slow. Can you help me please? 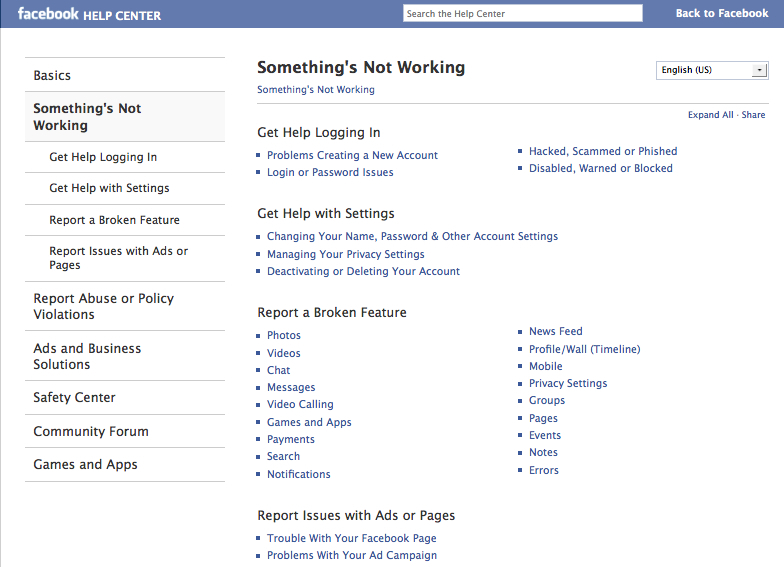 I don’t know what else to do, can’t seem to find a place to contact Facebook about my problem. Hi Denna – unfortunately, no one from Google or Facebook will answer their phone, return your calls, or reach out to you in any way. They are just TOO BIG! You may want to remove Google Chrome and try reinstalling it, also just rebooting your computer sometimes can do the trick.